Perfect for illuminating a linear space, such as a dining table or counter top, the Shooting Stars Ceiling Lamp from Zuo Modern features a stylish yet functional design that resembles shooting stars in the night sky. 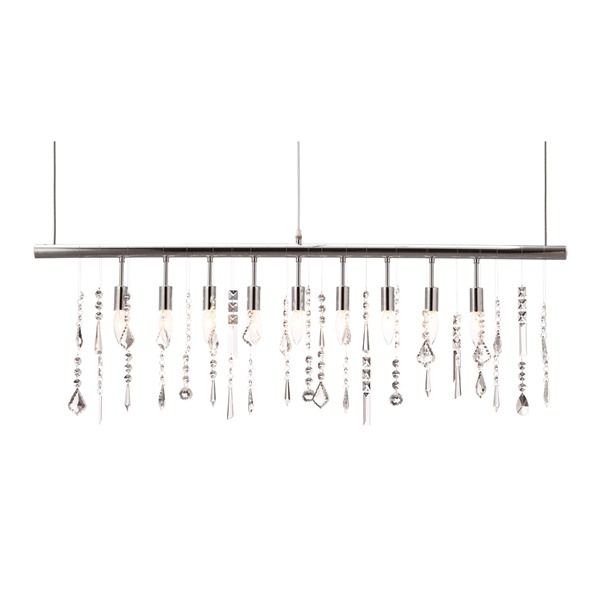 This contemporary ceiling lamp's stellar design features nine bulbs hanging from a radiant chrome bar in clean, streamlined form. Charming strings of crystal mingle among the Shooting Stars Ceiling Lamp's bulbs to catch and reflect light for added sparkle.